SHI offers temperature indicator kits designed to accurately display and/or communicate critical cryopump temperatures for our Marathon® CP Cryopumps. 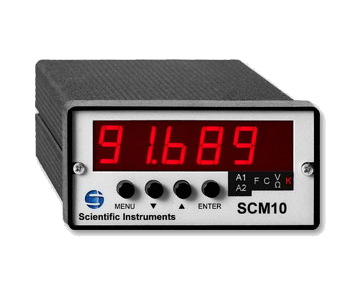 Model SCM10 is a single temperature indicator. Model 9302 is dual temperature indicator with a standard Ethernet interface. Model 9304 is a four-channel temperature indicator with a standard Ethernet interface. All models have alarm set points, a RS-232 interface, and analog output. Temperature indicators provide the necessary excitation and accurate readout for our standard temperature diodes. These kits come complete with 50-foot interconnecting cable(s).